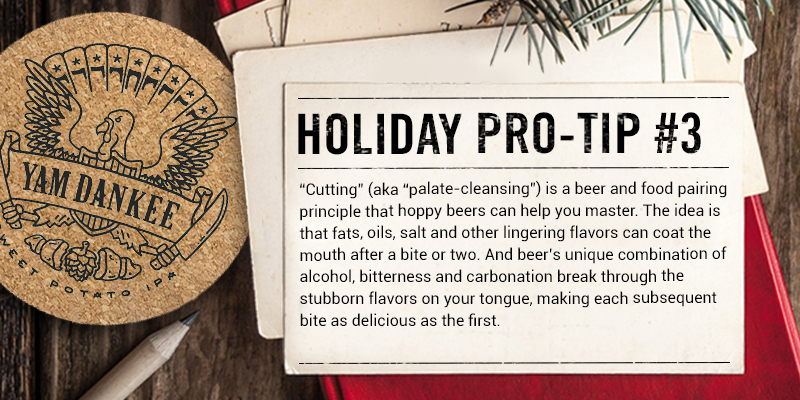 Check out our picks for the top cold-weather-friendly beer styles to incorporate into your holiday festivities this year, plus food pairing suggestions and Holiday Pro-Tips for serious beer drinkers. It’s no wonder why beer drinkers, far and wide, refer to the coldest months as “Stout Season.” Rich, malty and ever-so-pleasantly-roasted beers just drink best when there’s a nip in the air and a coat on the barstool. Maybe it’s their notes of coffee and chocolate that remind us of warm, comforting beverages or perhaps the subtlety of their dark color that hints at the somber reality of shorter days and longer nights; possibly, it’s just due to the simple fact that darker beers aren’t generally perceived as ideal warm-weather-quenchers and are banished to winter by default. In any case, stouts can be delicious and comforting. If you’re looking for an indulgent stout that remains surprisingly well balanced, check out Moo-Hoo Chocolate Milk Stout from Terrapin Beer Co (Athens, GA). This seasonal brew displays plenty of roasted malt along with an extra pop of indulgent chocolate flavor from cocoa nibs and shells courtesy of Olive & Sinclair Chocolate in Nashville, TN. 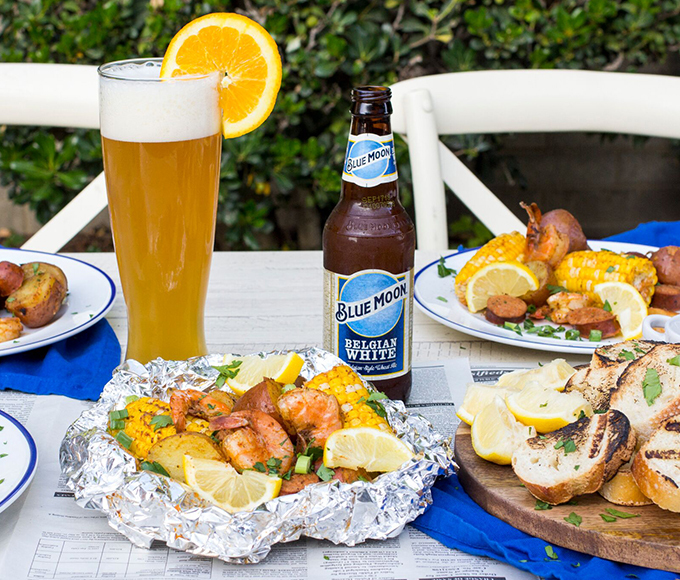 This beer can provide a sweeter contrast to a savory dish but really shines with dessert. Classic flavor combinations, like fruit and spice, stand the test of time for one simple reason—they work. The warming, heady aromas of mulling spices (think cinnamon, nutmeg, clove) poke their way in to out flavor lexicon sometime in early autumn and stick around through the new year. Richly perfumey, yet earthy spice contrasts the acidity and subtle sweetness of a wide range of fruits; including, apples, pears, plums, cranberries, citrus and even pineapple. The beauty of these flavors is that they can be applied to any number of base beer styles; from rich porters and stouts, to yeasty Belgian Ales, to hop-forward IPAs and spritzy, refreshing wheat beers. 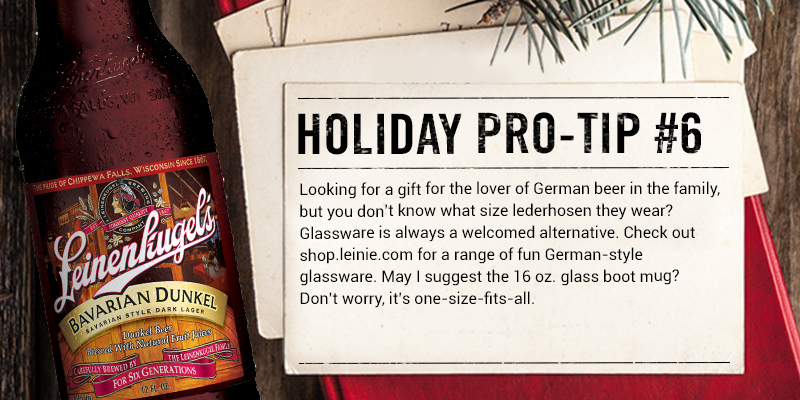 The folks at Leinenkugel’s (Chippewa Falls, WI) are known for a range of styles inspired by their German heritage but are most famous for their line of Shandies. A Shandy is, at its most basic, a blend of beer and something else (I know, how charmingly vague). The allure of Shandy is that it can consist of beer blended with just about anything from lemonade or tea to cola or cider or other natural flavors—you’re limited only by your imagination. 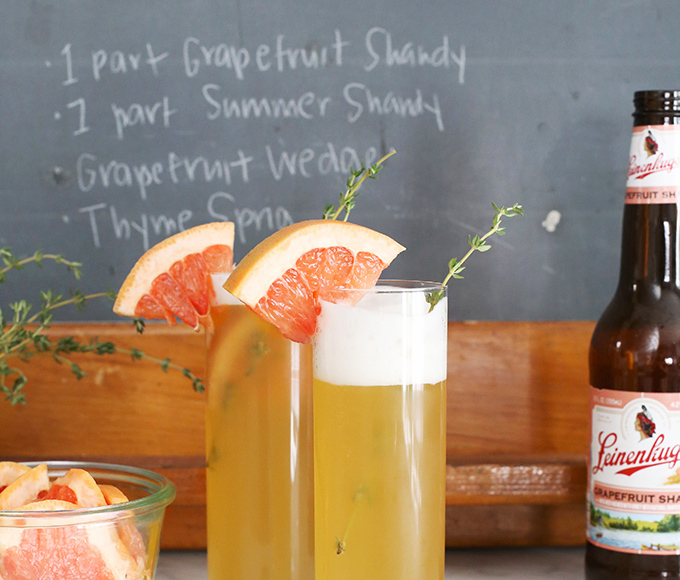 Leinenkugel’s winter seasonal Shandy blends a Weissbier with natural ginger and cranberry flavors. 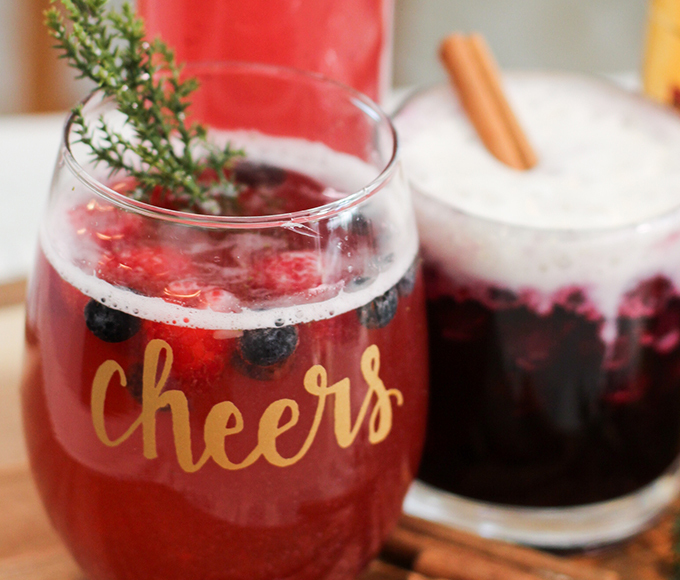 The cranberry flavor provides a refreshing tartness and subtle, balancing bitterness while the ginger flavor is floral and festive. 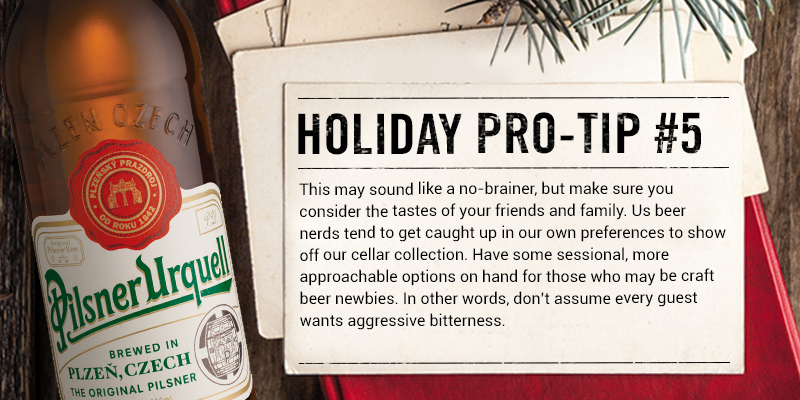 Holiday beers are rarely celebrated for their spritzy, refreshing nature or their drinkability but this one breaks the mold. 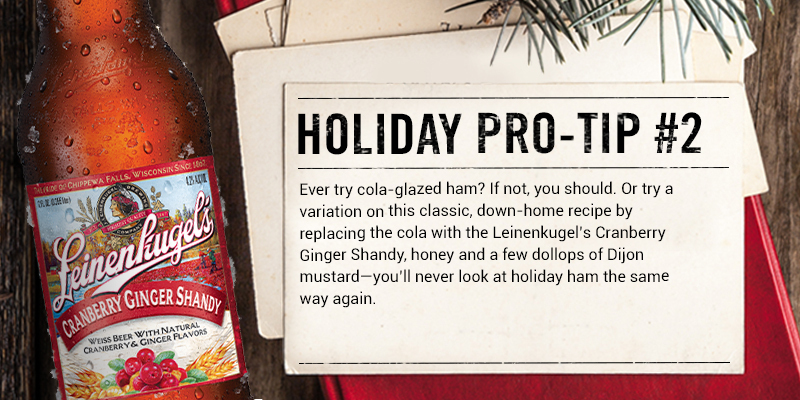 Pair Leinenkugel’s Cranberry Ginger Shandy with salty pork items like country ham or prosciutto. 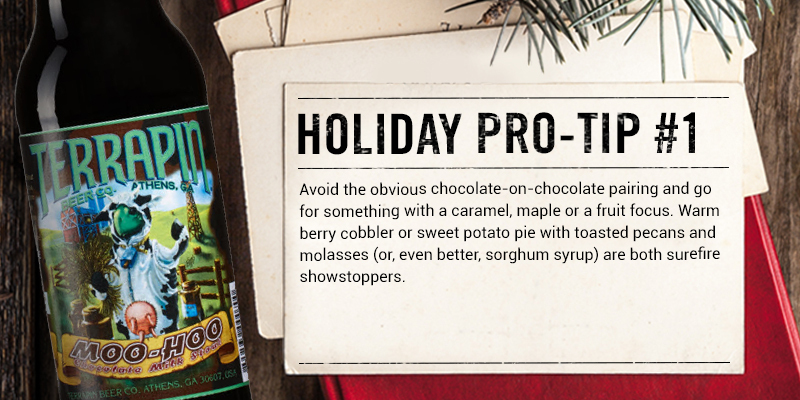 It’s a great beer to serve with early appetizers and assorted munchies (remember: the holidays are a marathon, not a sprint). This is, of course, the season of malty, sweet beers but that doesn’t mean you should abandon hops altogether. Brewers are thinking outside the box when it comes to utilizing hop varieties and coupling specialty ingredients with unique hop aromatics. Revolver Brewing of Granbury, TX (just a bit southwest of Fort Worth), brews a uniquely delicious take on the modern American IPA, utilizing 100 lbs. of dried sweet potatoes, dark Belgian candi sugar and hop varieties from New Zealand, Australia and the United States. The result is Yam Dankee IPA, a supremely well-balanced and complex combination of pine and tropical fruit-like hop aromas, toffee-like sweetness and subtle, earthy sweet potatoes. Yam Dankee IPA has enough bitterness to help cut through fatty meats like ham and duck as well as rich cheese or salty sides. 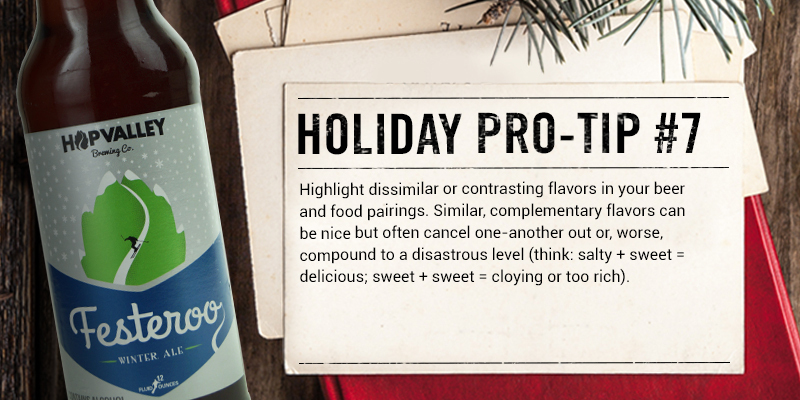 Try pairing this one with roasted brussels sprouts with bacon and pecans—that is, if you want a side dish to steal the show. It’s like fishing with dynamite. In case you haven’t noticed, coffee is having a moment. The age of pour-over, nitro cold-brew and waiting longer for your cup-a-joe than you do for your patty melt and fries is upon us. Whether you’re an aspiring barista or a gas station mug-club member, most of us would sooner walk to work without our shoes than without our morning coffee this winter. So why should our pursuit of coffee stop after brunch? Brewers are getting adventurous with the bean and, as a result, there have never been so many options for balancing out that caffeine buzz with beer. Say hello to Cappuccino Oatmeal Stout from Blue Moon Brewing Company (Denver, CO). 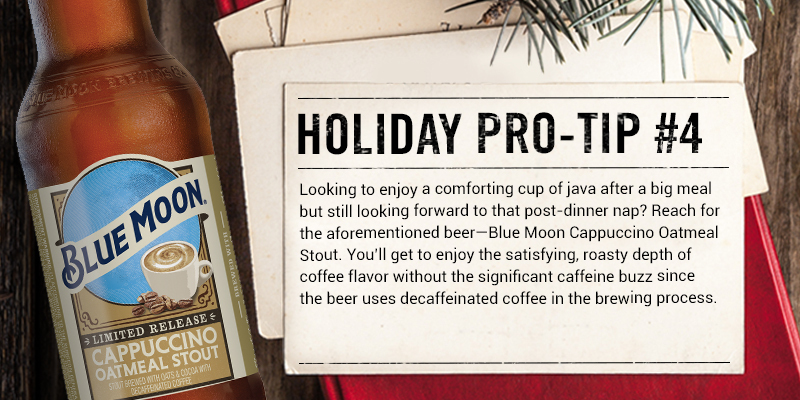 There are few things as cozy or relaxing as sitting in a local coffee shop, enjoying a good cappuccino on a frosty afternoon—that image is the inspiration for this brew. Additions of decaffeinated coffee and cocoa along with roasted malts communicate that familiar aromatic experience while the addition of oats creates a round, creamy texture that puts this one in the “must-try” category. As you might imagine, this beer pairs terrifically with dessert—try Nutella-filled crepes or chocolate-chip-cherry scones—but it’s surprisingly versatile with savory options as well. The slight char of the grill marks highlights the earthy roasted flavor of coffee (think: grilled rib eye, charred green onions or roasted red peppers). Looking for a multipurpose beer that will please a crowd and pair with a wide range of dishes while still keeping your palate’s attention? Look no further than a Czech Pilsner. This beer differs from German- and American-style Pilsners in that they generally have more depth-of-malt character and often more body and residual sweetness. Czech versions often display a delicately caramelized, somewhat bready malt flavor that provides a welcomed complement to roasted, broiled or sautéed dishes that display their own caramelized flavors (think: a good sear on a pork chop or the crispy, browned corners in a pan of mac and cheese. YUM). Pilsner Urquell is the original pale lager beer. First brewed in Pilsen, Czechoslovakia, in 1842, it’s still brewed there (and only there) to this day. Pilsner Urquell is a beer that stays true to its roots by delivering on the malt richness and delicate Saaz hop aromatics that Czech beers are celebrated for. 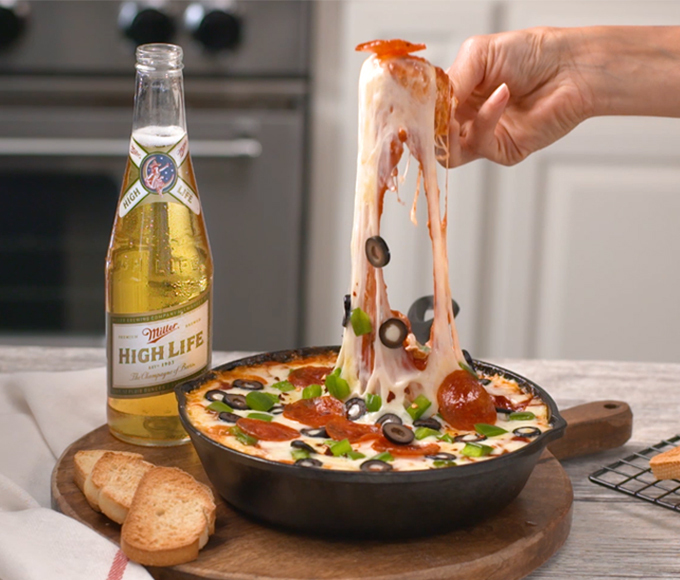 It’s genuinely difficult to find a food item that this beer doesn’t go well with. Its elegant balance allows it to play well with slow-cooked, deeply caramelized flavors as well as bright, fresh ones. Try roasted fingerling potatoes with butter, lemon zest and fresh herbs or go full-on Czech and serve it all with roasted pork, bread dumplings and cabbage. Depending on where you call home, the term “lager” may conjure up a wide array of preconceived notions. In Pennsylvania, the term is often associated with a somewhat darker, amber beer. This is undoubtedly due, in some part, to the presence of indigenous beers that characterize these associations. 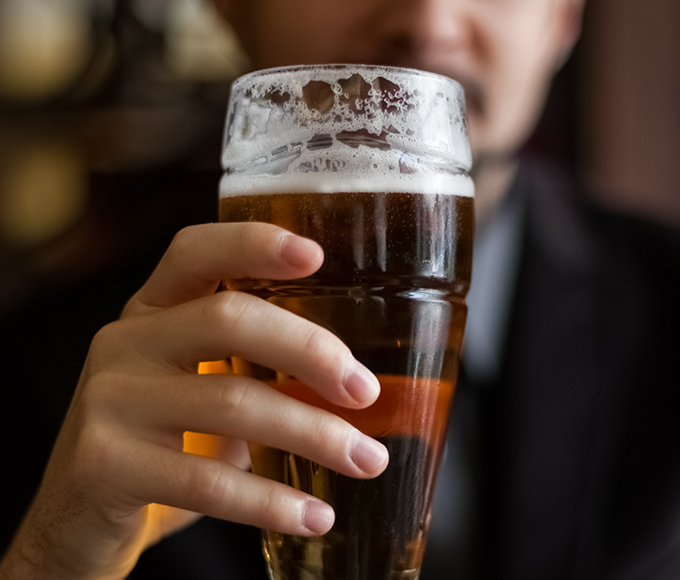 The reality is that lager is an extremely broad category of beer styles—not unlike ale—that runs the gamut from pale and spritzy (like an American Light Lager) to a virtual loaf of bread in a glass (like Doppelbock). Leinenkugel’s Bavarian Dunkel Bavarian Style Dark Lager characterizes a trend toward brewing American craft renditions of classic European lager styles—often with a uniquely modern twist. Although the roots of this beer’s base style, Munich Dunkel—dunkel meaning “dark” in German—are steeped in Southern German brewing tradition, a delicate hint of fresh berry juice adds a slightly fruity, tart note that melds well with the underlying roasted malt flavors. This beer shines with hearty stews and substantial sauces—think beef stroganoff or pot roast and gravy. Savory herbs like thyme and sage also complement the rich malt flavors. For a sizable winter beer that can stand up to savory, main-course protein like roast beef or lamb but still maintains a balance between malt and hops, seek out Festeroo from Hop Valley Brewing Co. in Eugene, OR. They call this beer a “Winter Warmer,” which is a somewhat undefined style that generally sticks to the mold of a stronger-than-average English-style ale with elevated alcohol and hops. Although spices are sometimes added to this style of beer, they are not typical of classic examples. Festeroo displays a substantial malt character with notes of biscuit and toasted bread crust along with a firm bitterness and a pronounced hop aroma reminiscent of pine, woody herbs and citrus rind.